As soon as I saw Great House in Exclusive Books, I had to have it! After the enthralling read of The History of Love and now Great House, I can safely call myself a great lover of Nicole Krauss’s work. It all starts with a monologue by an unknown woman telling her life story to an unknown listener. But it is far more interesting than that; the woman keeps addressing the listener as “your honour” as if in court, yet her winding story has none of the characteristics of a testimony. To whom is she talking and why? Just as I thought I became closer to answering these questions, Krauss swaps narratives. Each time I felt myself beginning to understand the particular story I was reading, and perhaps the link between it and the rest, I was whisked into another part of another story, always wondering how I would find my way out of the labyrinth to something resembling sense. It’s not that the stories are confusing, but readers have an innate deisre to make things fits, to link different stories and times if they are in one novel. We want it all to make sense. This is what makes Nicole Krauss’s work so interesting. She plays on our need for logical progression in narrative, much like great film makers; she jumps around, feeding us bits and pieces until, in the final chapter, it all makes sense and, after some careful thought about time, we can close the book, finally satisfied that we “got it”. Or did we? Great House is made up of four very different stories, but each have one item in common – a beautiful, if ominous, desk, is all that lets the reader have a vague idea that something is making the book cohesive. The desk however, is merely a tool that allows Krauss to cross time and geography, from London to New York, Budapest to Jerusalem. Each character that surrounds the desk has a sad story to tell of loss and deep loneliness, making Great House a somewhat tiring, if gripping read. 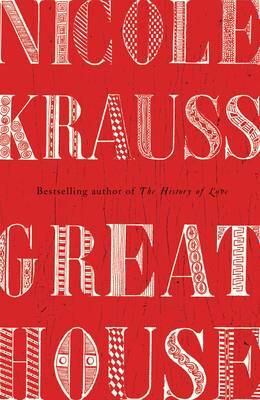 Krauss clearly has a deep interest in World War Two and the deep effects it has had on families, even the children who were not yet born, and those seeking out a new life. Great House explores the deep loneliness felt by those who carry secrets and loss with them throughout their lives. She draws excellent psychologoical landscapes, but without giving the impression that she understands or knows what it must be like. She has a great gift for showing the reader rather than telling. Pick up Great House and be prepared to hide in your room for two days, reading, but make sure you have someone nearby to give you a hug once you finish – you will need it. “How audacious!” These were my first thoughts when seeing the title The History of Love on my sister’s bookshelf. 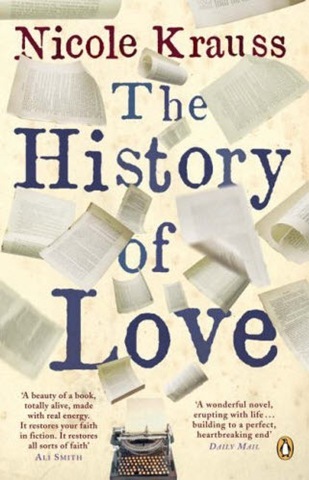 How could one book claim to be the history of love? I picked up Nicole Krauss’s book more out of spite than real interest. I was going to prove that this was, to say the least, an ambitious title. After a page , my spite disappeared and I was immersed in a truly beautiful novel, one that will stay with me for a long time. The History of Love follows two stories which eventually become one. Leo Gursky is an old man, a Polish refugee of World War 2 living in New York. He is tired and scared of dying on a day when no one sees him. This causes him to create scenes, drop pennies in stores and bump into strangers. Once Leo was stong , young and a writer, now he is living out his promise to love only one woman, long after she could not let him. Alma is a fourteen-year-old girl in another part of the city. She lives with her younger brother who becomes more obsessively religious by the day, and her mother, a translator. Alma only knows a few things about her father, but she cherishes them deeply, cultivating a myth around the man. About her own name, she knows only that she is named after a girl in a novel, The History of Love, which her father once gave her mother. She has never read it. Alma and Leo’s stories are heartbreaking and breathtaking. I find it is generally the stories of the young and the very old that are. The naivety of the young Alma and the regrets of the old Leo add different dimensions to this tale. Krauss has woven these two, seemingly contradictory characters together so sensitively and cleverly that the story is one to be rememebered and held dear. Once I had finished the novel, I sat still for a long time; it is one of those books that slightly alters how you see the people and relationships around you. somehow of The Book Thief by Markus Zusak and Extremely Loud and Incredibly Close by Jonathan Safran Foer, as different as they may seem. Strangely enough, after making this observation I discovered that Nicole Krauss is in fact married to Jonathan Safran Foer. Bizarre. The History of Love is an intense book of regret, love and discovery. Read it now, while I move on to Krauss’s next book, Great House. 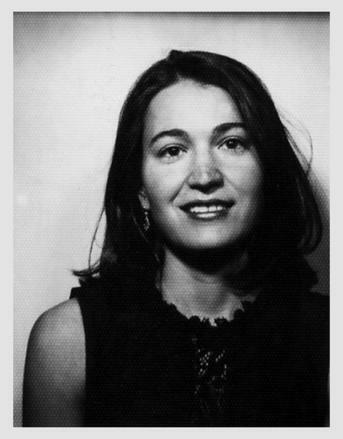 For more information on Nicole Krauss, head to her website.